Consistency is the key to improving English literacy amongst the mainly Alyawarra and Anmatyerre speaking students attending homeland schools surrounding Arlparra. The schools have been using the Read Write Inc. Phonics literacy programme, which teaches students to read and write by sounding out new sounds and words. Arlparra School principal Stephen Nimmo said the school had been using the program for about 18 months and was starting to see positive results. “We piloted the program at the end of last year and we’ve been running it all the way through this year. We like it. It’s consistent and we can see the progress because it’s measurable,” he said. For many students in remote communities, attending the same school is not always possible, and this can sometimes result in a disconnected learning experience. “Consistency is really the key for us. The same thing is taught in each of the five homeland schools so the kids can pick up where they left off and new teachers can pick it up too”, Mr Nimmo said. “When we’re assessing, or when kids move between different schools, we know there will still be consistency and we know any change is not just due to the different ways it is being taught”. 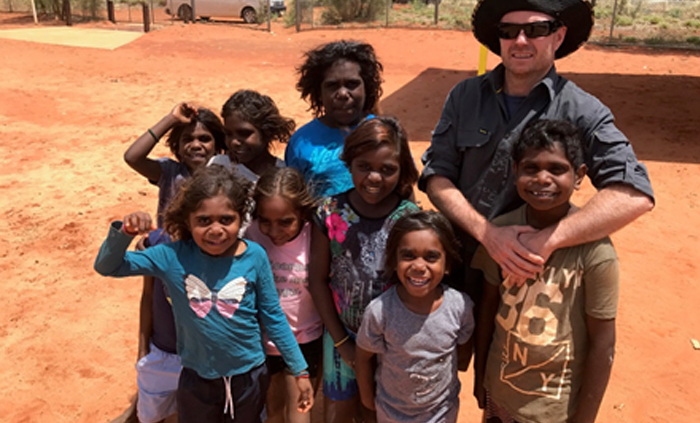 Mr Nimmo has been working in remote Territory schools for more than 10 years and believes involving parents and the wider community has played a crucial role. “It takes time for people to trust that something will stay; that it won’t disappear,’’ he said. The Read Write Inc. Phonics programme has been adapted from the UK for use in remote Territory schools where English is often a second, third or fourth language. A resource kit was recently launched under the Indigenous Education Strategy’s Literacy and Numeracy Essentials (LANE) project and will be rolled out in 2018.